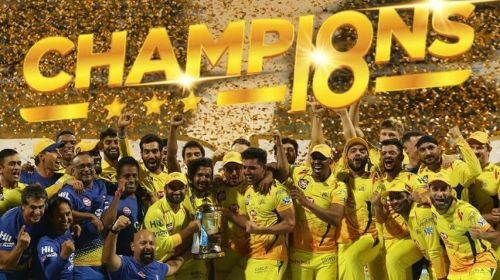 With the excitement surrounding the 2019 IPL auctions sky high, the Chennai Super Kings dropped a hint that sent the fans of Yellow army crazy. CSK's tweeted, "Now on repeat mode hoping for the best! If YOU know what WE mean!" with a GIF from Rajnikanth movie. The 2019 IPL auction will be held on December 18 (Tuesday) at Jaipur. The defending champions, Chennai Super Kings released only three players ahead of the auctions- the Englishman Mark Wood and uncapped Indians Kanishk Seth and Kshitiz Sharma. Though their overseas slots are full, they can buy two Indian players with INR 8.4 crore left in their purse. Ever since star Indian all-rounder, Yuvraj Singh was released by the Kings XI Punjab, fans were anticipating his possible reunion with MS Dhoni at CSK. Yuvraj, who has a base price of INR 1 crore, has been targeted both by the Chennai Super Kings and Royal Challengers Bangalore who are desperate to acquire his services. The fans of almost all franchises want their teams to sign Yuvraj, the star Indian attraction at the auction. The Chennai Super Kings tweeted a GIF involving Superstar Rajnikanth and Malayalam star, Mammootty from the famous 1991 Tamil movie 'Thalapathy'. In the film, Rajni and Mammootty are thick friends and their combo proved to be very popular among the fans. This tweet was enough to send the fans into a delirium about the possible reunion of Yuvraj Singh with his friend Mahendra Singh Dhoni at CSK. The rumours surrounding Yuvi's bid have been doing the rounds for quite some time. With CSK dropping a hint with an epic tweet, the fans are super excited for the auctions to begin. If the Yellow army manages to acquire Yuvraj, then it might be the cracker of a deal of the day.